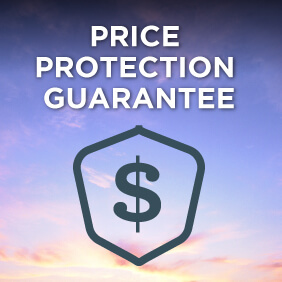 We are currently building a brand new river cruise booking engine. 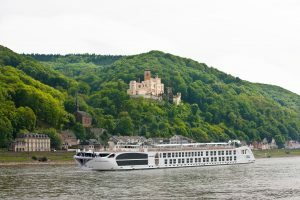 In the meantime, Uniworld river cruise bookings are only available offline through our sales team. Contact us. Uniworld has announced a further evolution of it’s brand over the next two years with the introduction of four new Super Ships. Three of these ships will cruise in Vietnam, Egypt and Portugal, while the fourth will be a Super Ship renovation of an existing vessel to operate in Italy. These floating boutique hotels will feature the signature touches and distinctive themes Uniworld is known for including more suites, more dining venues, more luxurious finished and a high crew to guest ratio. 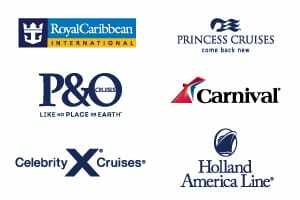 Uniworld cruises on every major waterway in Europe. Explore the Netherlands and Germany with cruises along the Rhine River ranging from short 7 night escapes to longer 24 night multi-river integrated itineraries. A popular itinerary to look out for are those that cruise during Tulip blooming season in Holland creating a sea of colour that is both mesmerising and quintessentially Dutch. Along the Danube River, coursing from Germany through to the Black Sea, lose yourself in iconic river cities of Germany, Australia and Hungary with some voyages even including land components to Prague. Again, these cruises range from 7 to 24 nights in duration. Discover the enchanting countryside of France with cruises down the Seine and Saone Rivers. Cruising down the Seine River will have you exploring vibrant Paris and coastal province of Normandy, while the Saone River will take you south through Burgundy to the coastal region of Provence. You can also get a taste for the delightful French wine country with Uniword and their cruises through the region of Bordeaux. Further south, Portugal and Spain also offer rich river itineraries with cruises down the Douro River, all of which incorporate time for you to discover the enchanting coastal capitol of Lisbon. Let Uniworld introduce you to imperial Russia aboard their ship River Victoria. Their 11 night voyage takes the journey between St Petersburg and Moscow and includes an onboard enrichment program for guests to learn more about Russian history, politics and society. To get you in the festive spirit, Uniworld also has a number of cruising itineraries that visit the world-famous European Christmas Markets. These itineraries are offered on a number of different waterways, giving you the opportunity to witness the many beautiful cities of Europe during the most wonderful time of the year. In Asia, Uniworld has a number of extensive itineraries that explore China and the Yangtze River. Ranging in duration from 10 to 17 nights, these itineraries also incorporate significant amounts of land travel with their river cruising journeys so you can finish your trip with the feeling that you have truly experienced China’s iconic sites and cities. 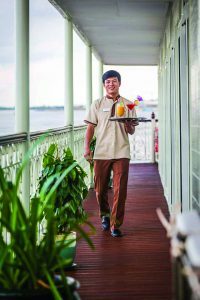 Cruise the Mekong River as it meanders its way through Laos, Cambodia and into the South of Vietnam. The 12 night itinerary aboard Mekong Navigator also includes a tour component in Siem Reap so that you can discover the famously stunning temple of Angkor Wat. You can also discover mysterious and exotic India with Uniworld. Ganges Voyager II offers two itineraries incorporating both land and river journeys throughout India and along the Ganges. For a more in-depth experience into traditional Indian life, Uniworld offer Me to We itineraries which incorporate cottage and tented camp stays into the overland components. Operating the must luxury ship on the Nile, an Egyptian river cruise with Uniworld is an adventure no modern day explorer should miss. Aboard River Tosca, this 11 night Egypt and the Nile voyage gives you the opportunity to explore numerous iconic Egyptian sites and cities including the Egyptian Museum and Pyramids in Cairo, Luxor and the Valley of the Kings and Philae Temple complex of Aswan.